One of the things I love about my kindle is how I am no longer put off reading books because of their size. Some books at just to heavy to read in bed! Reading them on the kindle means that even an encyclopedia only weighs as much as a small paperback. Sometimes though I don’t want to hold it at all and, having broken one by standing on it, I decided I needed a kindle pillow. You Will Need: 1 fq cotton fabric, 1.5 kg rice, lentils or barley(or you could use bean bag beads), pins, sewing machine or needle and thread. 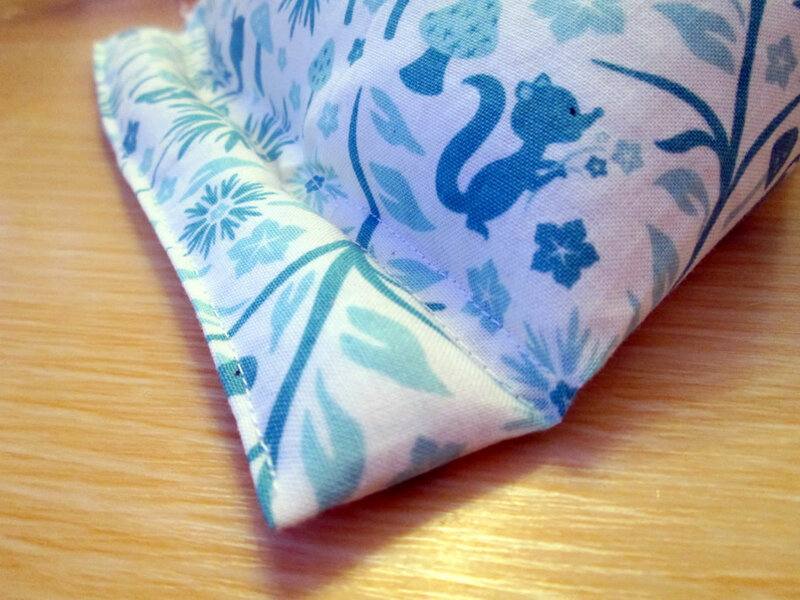 A 1 cm seam allowance is included in the measurements. 1. 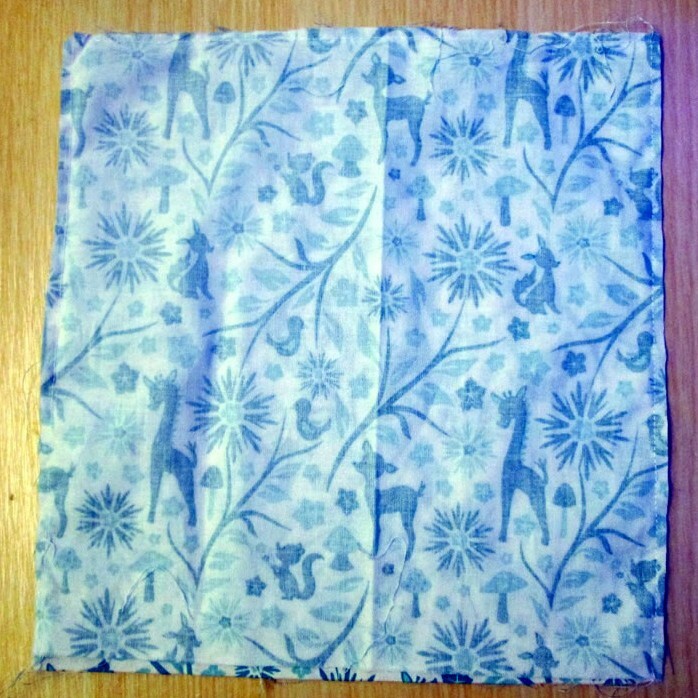 From cotton fabric, cut 2 rectangles measuring 23 cm x 25 cm. 2. 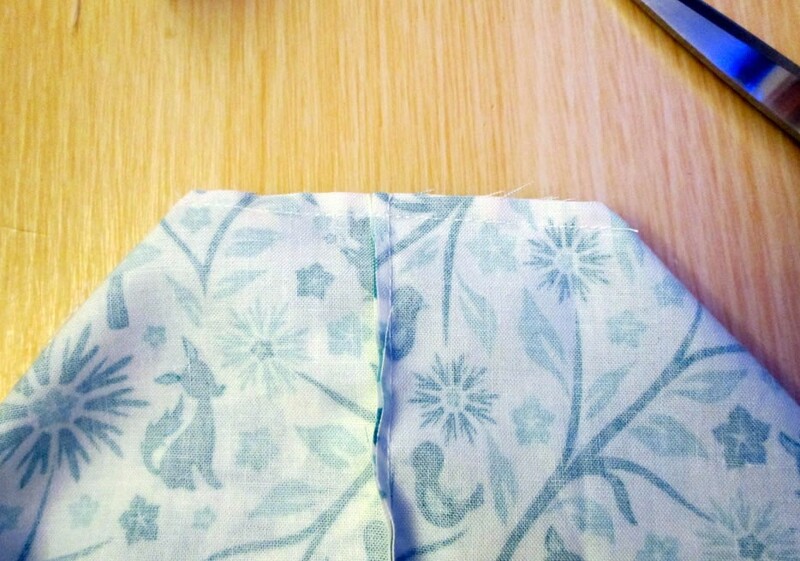 With the right sides together, sew around the sides and the top, leaving the bottom open. 3. 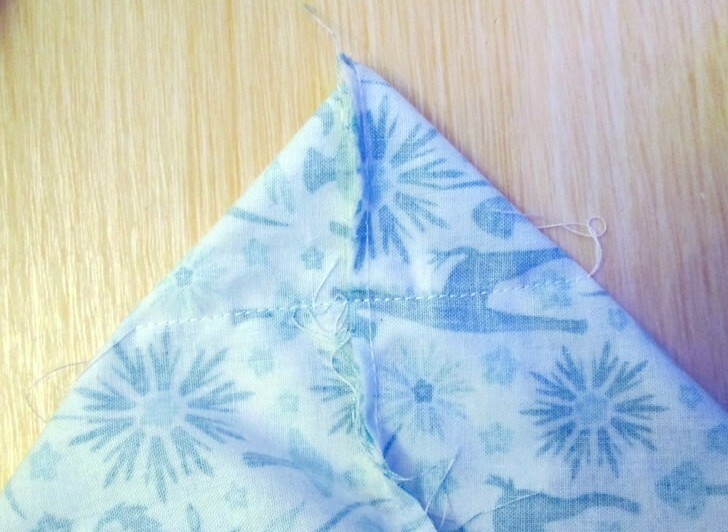 Square off one of the corners by squashing it flat so that the top seam and the side seam are together. Measure 5 cm up the seam and pin. Sew across the corner. Trim the corner seam and turn out. 4. Fill with rice or lentils, leaving about 8 cm free at the top. 5. Pin the open end 6 cm away from the raw edge. The edges need to be level with each other and the side seams need to be in the middle of the top and bottom. 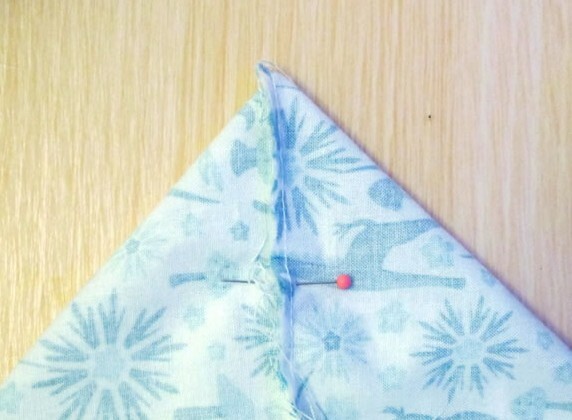 You might like to sew a row of tacking stitches behind the pins to contain the rice. I didn’t bother but it might make things easier! 6. 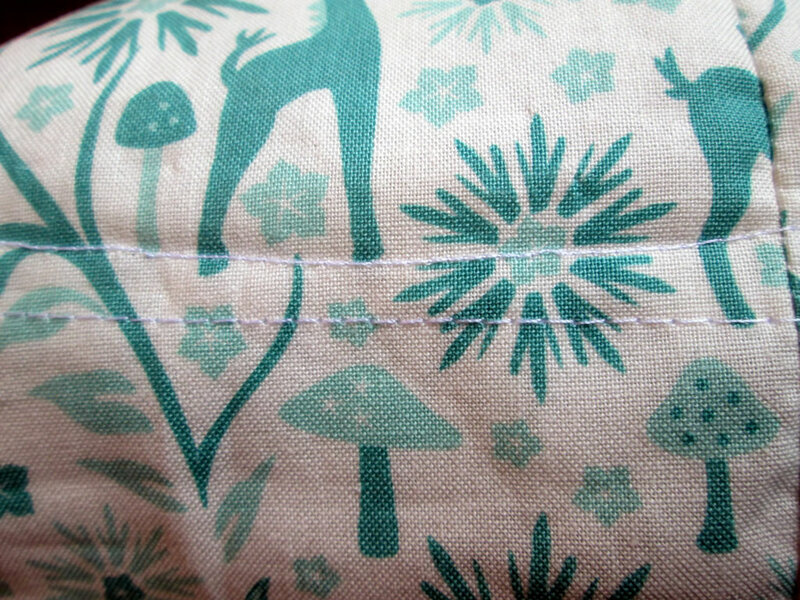 Sew a row of stitches just in front of the pins. Then sew a second line of stitches 0.5 cm – 1 cm away from the first line but nearer to the raw edge. 7. 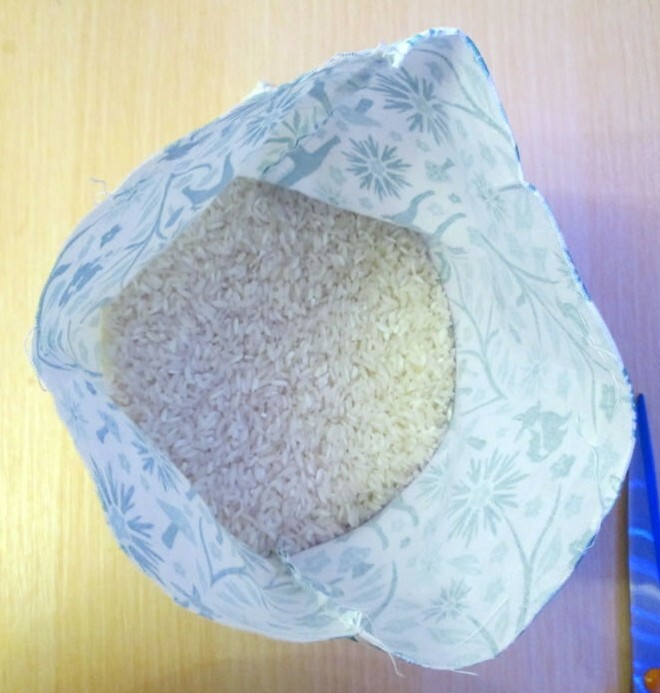 Fill the section between the stitches and the raw edges with rice. This can be tricky. A paper funnel will help here. 8. Turn the raw edges inside and top stitch. 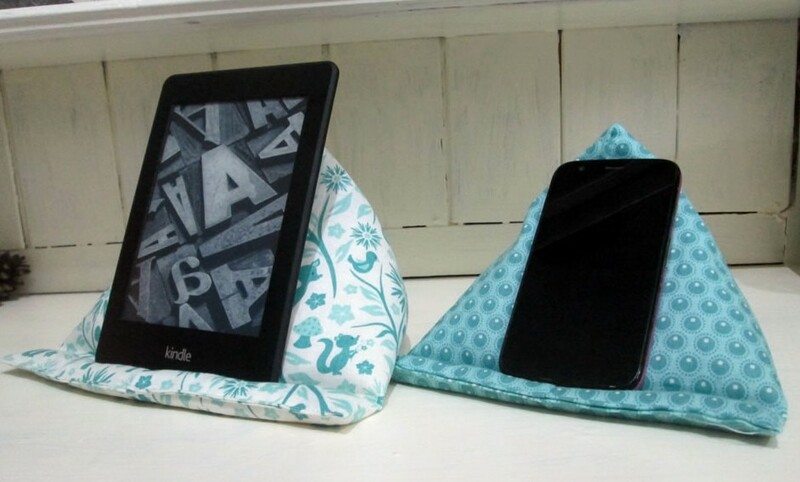 I like my kindle pillow much I’ve made a smaller one for my phone! This is even more useful as I can read it without the screen swinging round to the other orientation. 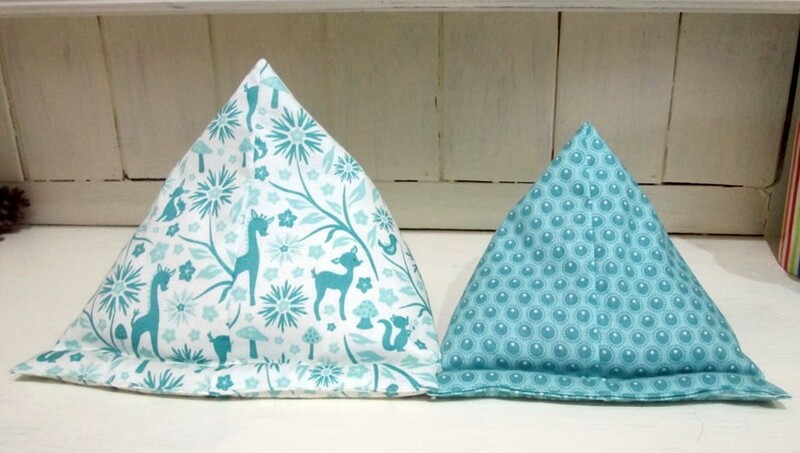 To make a pillow for a phone, cut 2 pieces of cotton fabric 20 cm x 21 cm. When squaring off the corner, measure 4 cm up the seam. A great idea for reading in bed! What a fabulous project, I’ve downloaded the instructions and this has moved to the top of my sewing to do list. This is a fabulous idea! 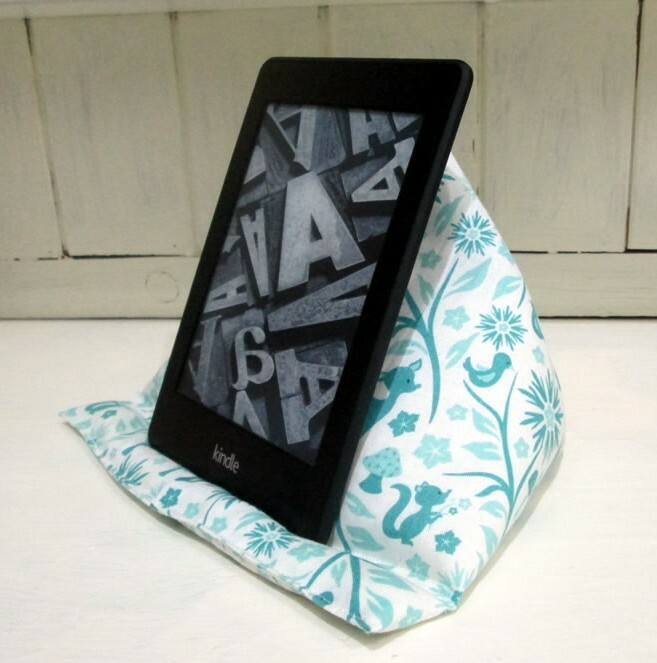 I have a Kindle so maybe I will have to get out my sewing machine and make one of these! Thanks so much for sharing…. Great idea! 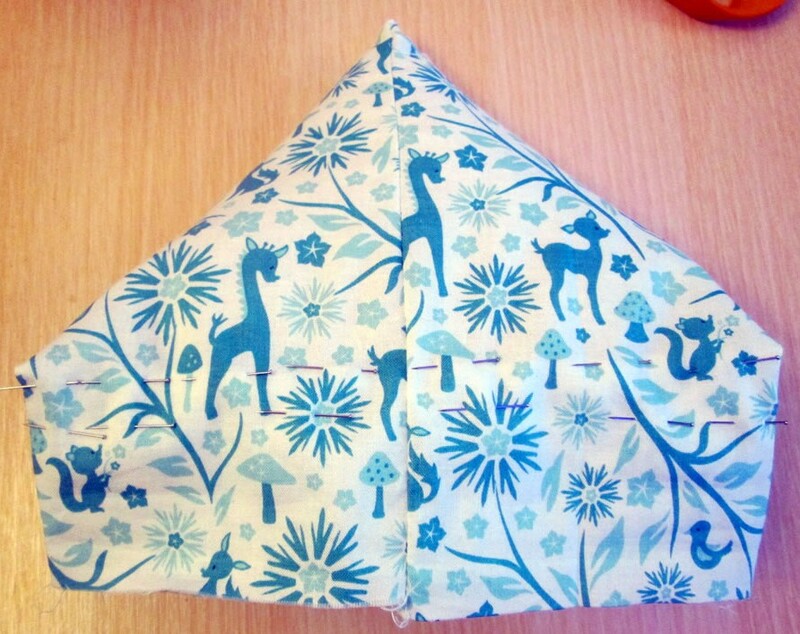 It looks very simple to make (which is about all I can manage!). I’m pinning this to a homemade gifts board I have on Pinterest. It’s very easy and a perfect gift for somebody with a kindle! 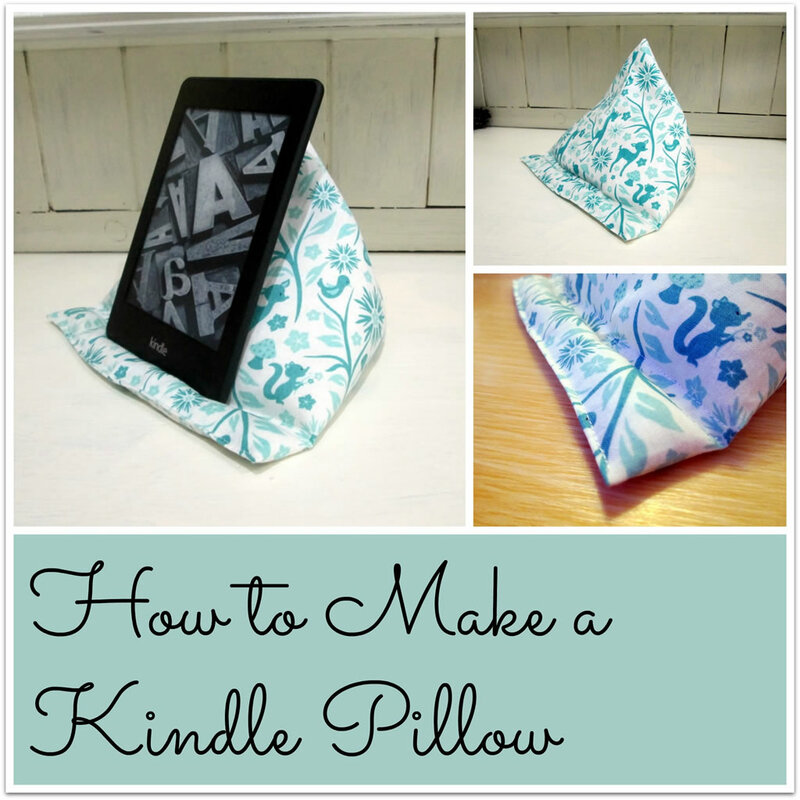 Thank you so much for letting me have access to thi lovely Kindle Pillow Pattern. Whoops, that should totally say right sides together! I’ve changed it so it’s now correct. When you say ‘trim the corner’ do you mean trim right to the seam that you have sewn right across? Thanks. Hi Emma, yes, basically you cut the corner off so that when you turn it out, the corner is neat.